Ferrari won the Australian Grand Prix, but the Scuderia’s much anticipated strong race pace was not in evidence on Sunday. In the opening stage of the race Lewis Hamilton was able to open and extend his lead over the Ferrari pair, and it was the combination of the virtual safety car and full safety car in quick succession -- coupled with Ferrari’s decision to keep Sebastian Vettel out for as long as possible -- that gave the red racers the advantage in Melbourne. Mercedes were the faster team all weekend, but Ferrari were the better racers. The next 20 rounds of the championship look promising. Despite their pre-season confidence in the strength of their chassis, the Australian Grand Prix proved to be a difficult weekend for Red Bull. 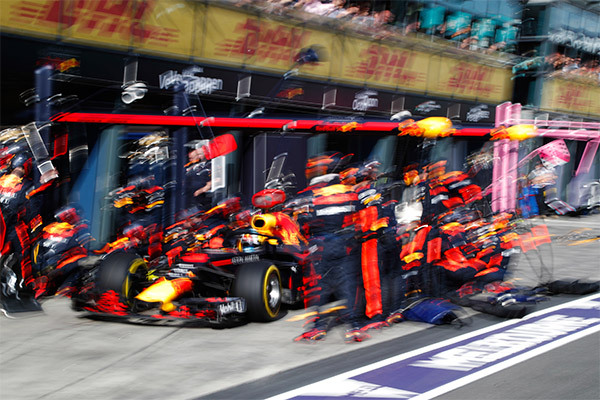 Not only did Daniel Ricciardo suffer a grid penalty for speeding under red flags, but Max Verstappen was complaining of overheating tyres within seven laps of the lights going out. Throughout the 58 laps of Albert Park the Dutch ingenue was struggling with tyre wear, becoming increasingly frantic on the radio. On lap 9 Verstappen span on his on, losing the rear under braking and dropping three places, while mid-way through the race he was forced to return a place to Fernando Alonso, having overtaken the McLaren under the VSC. 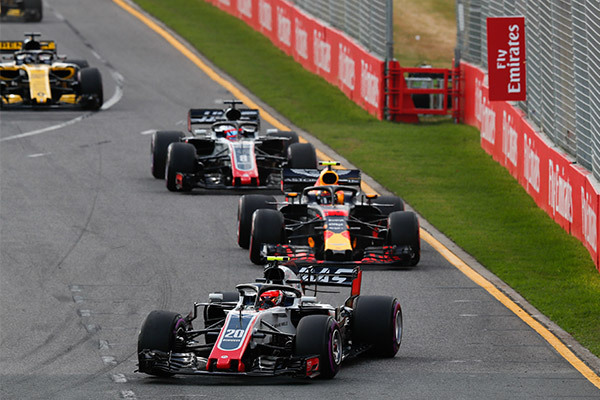 Haas had a crucial role to play during Sunday’s race, not only demonstrating impressive pace in the early stages but also causing the two incidents that helped decide the podium. Kevin Magnussen had an excellent start, getting the jump on Max Verstappen and running in fourth until the pit stop window opened. But trouble in the pits for both Haas drivers saw first Magnussen and then Romain Grosjean out of action on their out-laps thanks to loose wheels. 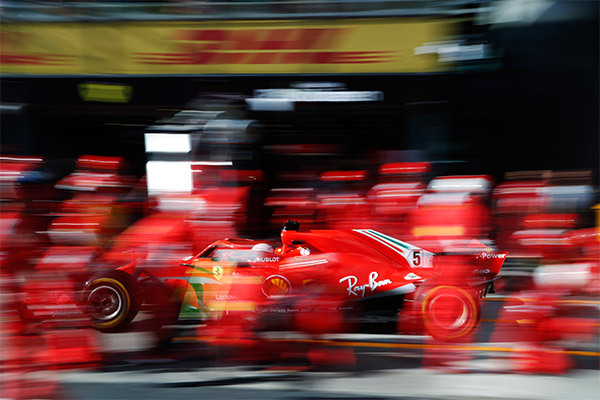 A virtual safety car followed by the real safety car handed Vettel the possibility of a free pit stop, and the Ferrari driver was able to take and hold the lead until the chequered flag.